The trend continuation pattern is the price model indicating the tendency will continue after the current situation. While the model forming the price moves in a narrow range. There are some trend continuation patterns. We will discuss them and their signals. 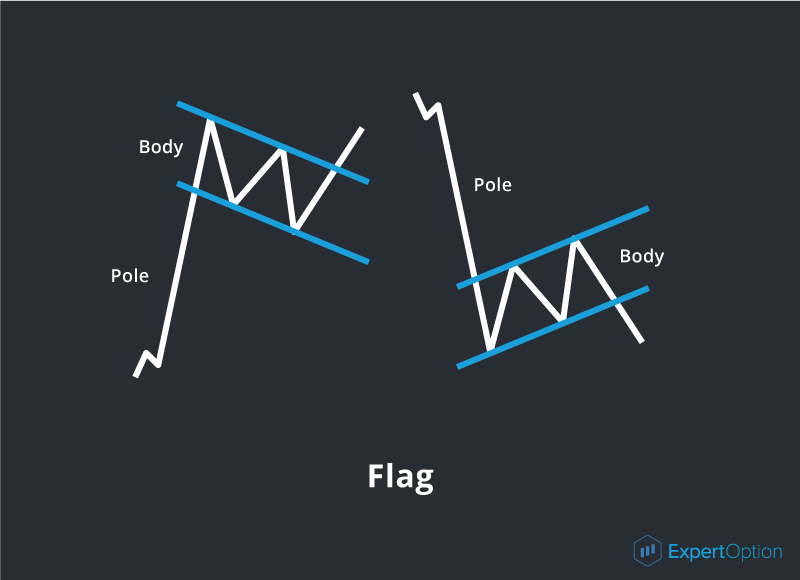 The flag formation is a rectangle sloping downward or upward and having a long pole. It is forming during a pause after a strong movement. The flag consists of its body and pole. The pole height indicates a target price after the end of the price formation. Usually the flag body includes 5 waves and price breaks out of the flag formation on the fifth wave. 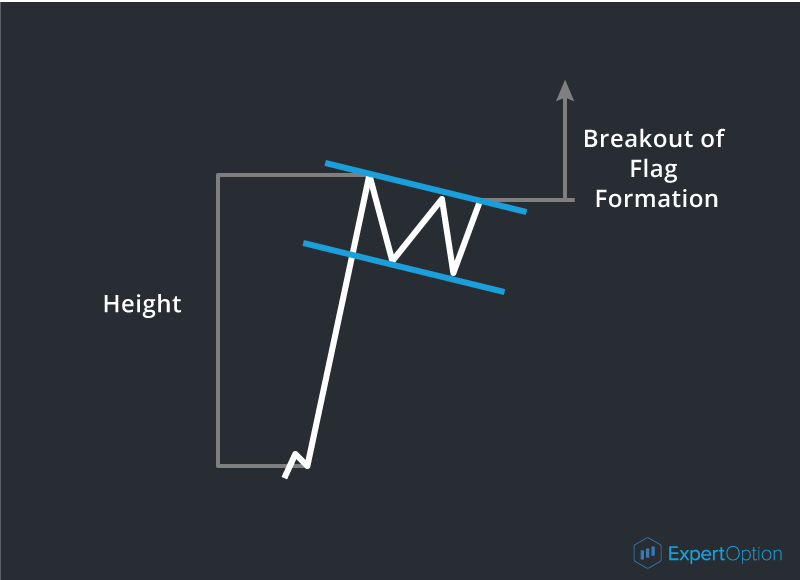 The strength of the formation depends on an angle of the formation slope against the main price movement – the more the flag body is directed downwards the stronger continuation signal it is. It is better to trade online after a breakout of the price formation. The pennant formation looks very much like a flag with the triangular body shape. 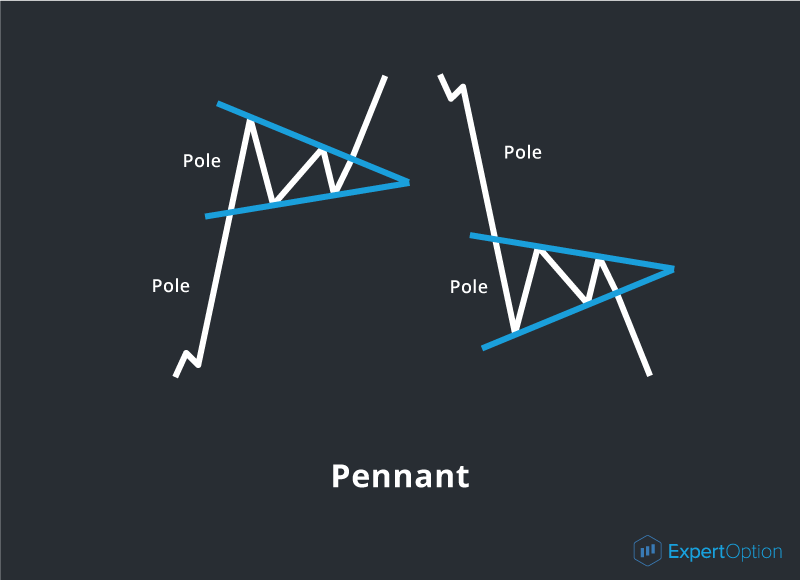 The difference between the pennant and flag formations is that the pennant has a small movement in a narrow range. On the chart it looks like a small triangle on a long pole (candle). The pennant also consists of a body and pole. A pole height indicates a target price after breakout of the pennant formation. That means that after breakout of formation the price will move the distance equal to the pole height. The small pennant body also consists of 5 waves. 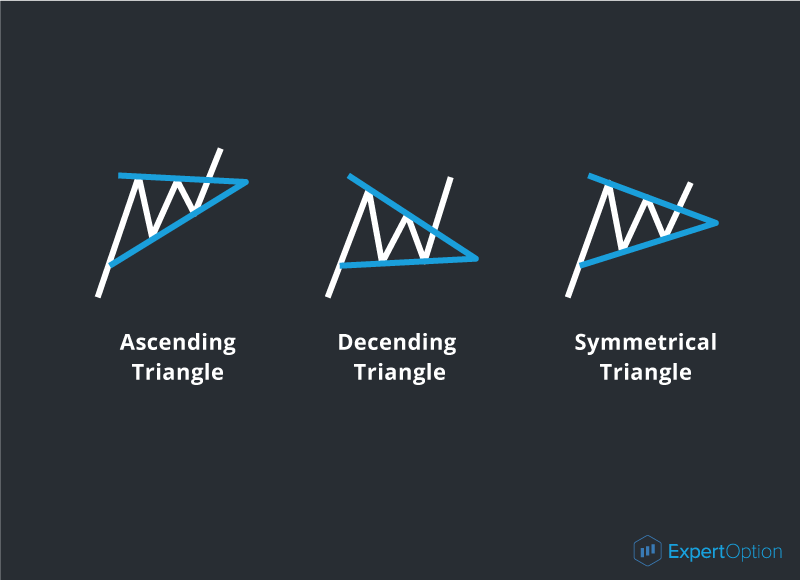 The other continuation pattern is a triangle formation. It is a dying price movement during a pause on the market. On the chart it looks like a usual triangle. Depending on its direction to the tendency it can give a strong or weak continuation signal. 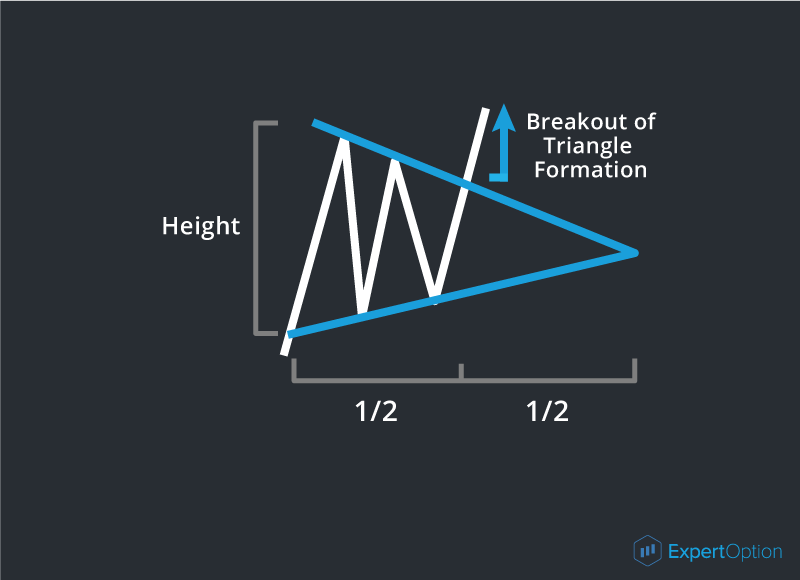 • After the formation breakout the price will cover the distance equal to the widest part of the triangle formation. When the triangle formation appears on the chart it is a good opportunity to trade online after the breakout of this price model. The tendency continuation patterns are not only good trading signals but help to forecast a target price. If you know the possible distance of the price movement you can surely trade during its period. We would also like to highlight that the formation searching is not a science. The trader should decide if he sees the formation or something like that. The more you work with the technical analysis patterns the easier you find them and trade successfully. But while you have no experience you should remember the rule: if you see and understand the price chart formation clearly it will surely work.